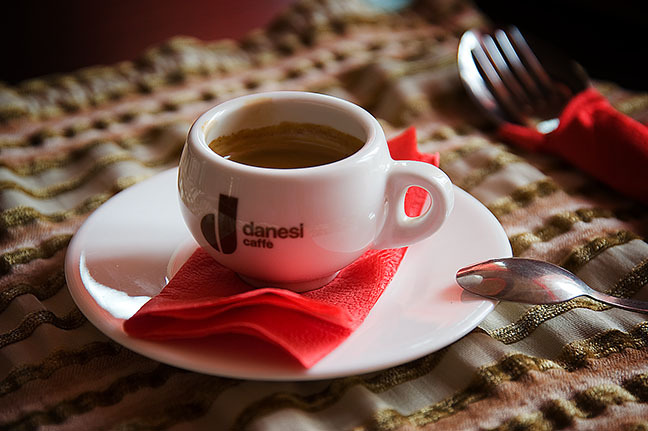 These are the same espresso cups that I have in Ashfield. The coffee isn’t bad, in fact it is damn good compared to any other coffee place. Coffee isn’t particularly popular here in Siberia and I have to take a mashrutka (small bus) to get to the nearest coffee bar. There is only one open before 9 AM so I have many hours every morning to find my first cup. Yesterday, Oleg took us to Angarsk. 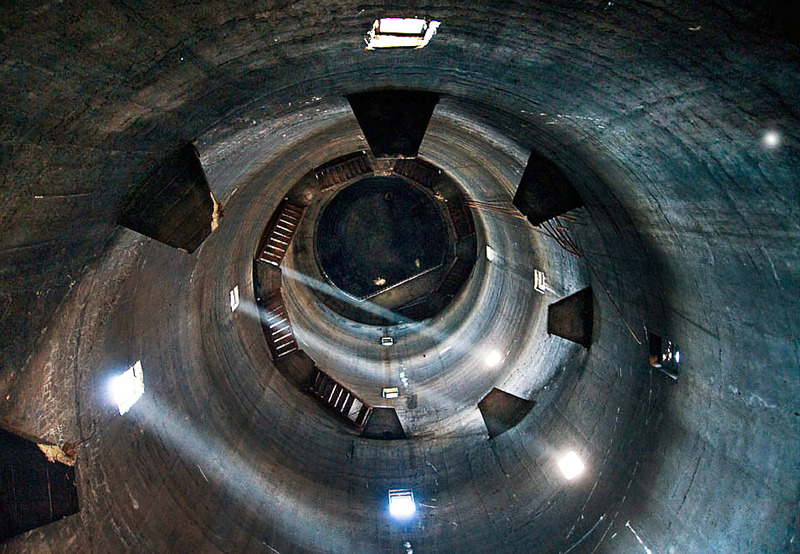 That’s where the Russians store their nuclear waste. It’s a Kruschev era city built by prisoners 50 years ago. They did a good job. I'm going all Hilla and Berndt Becher wandering around the industrial landscape here. 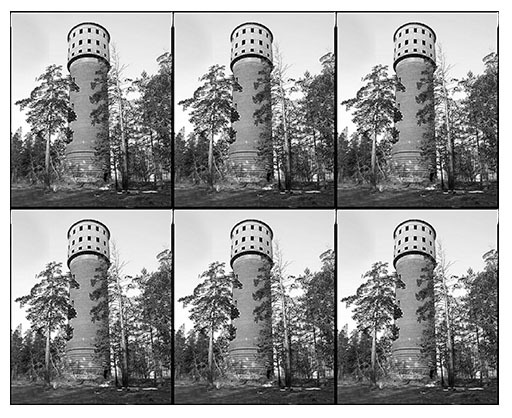 I’m not really comfortable doing Dusseldorf typology pictures. I know the art world goes bananas over this kind of repetition. I was having a good time appreciating this water tower in Angarsk. Then I peeked inside and fell in love with the darkness. Oleg brought me here two years ago, but we didn’t have time to stop. This time he took me inside and talked about climbing the spiral staircase as a teenager. 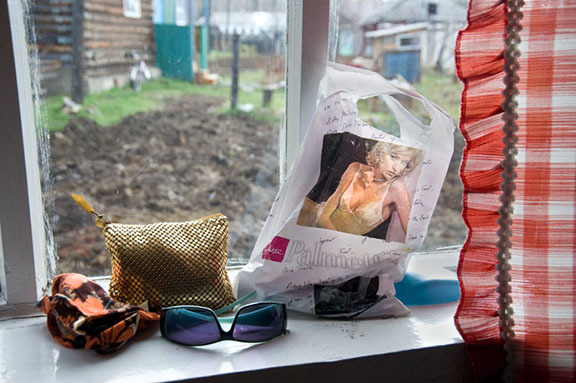 Later in the day, I met another Oleg who came to photograph Vivian for the local newspaper. 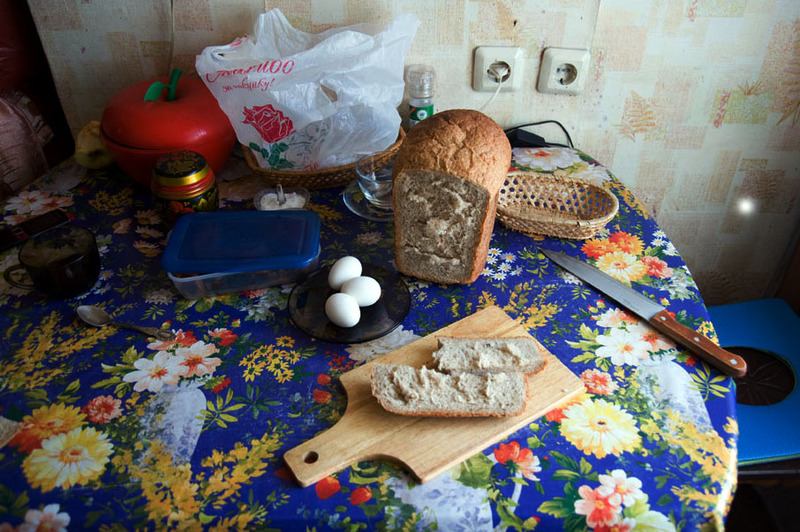 Oleg, the photojournalist, brought me to his apartment for a morning vodka and his homemade bread. Oleg pours a dark brown vodka and slices his bread. Oleg does not speak English so I brought along three teenagers with varying fluency to interpret. I think he said he made both the bread and the vodka. I think this is his daughter Yulia, but translations were vague. 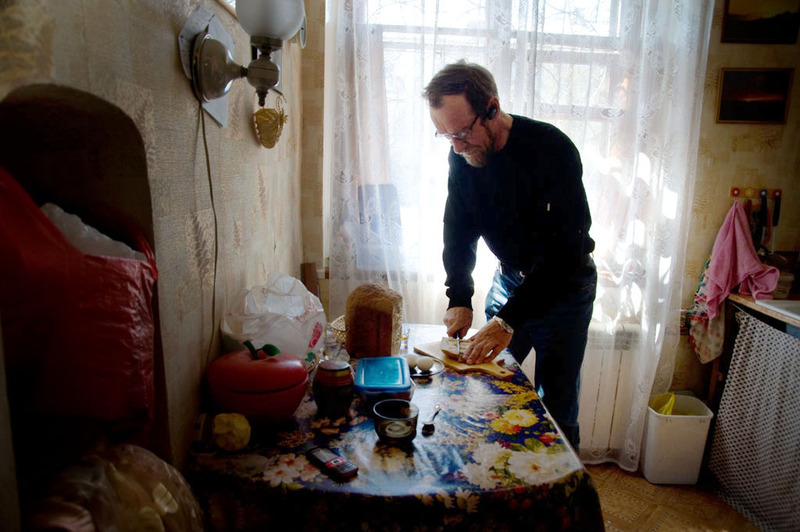 Oleg's daughter opened the door to his apartment. Last weekend we went to Arshan. I put together a few pictures of our friends Olga, Arina and Alexey. I’ve got to sign off so I’ll leave you with a few Arshan pictures. Arina and Alexey in the kitchen. This is us with the very important outhouse on the left.